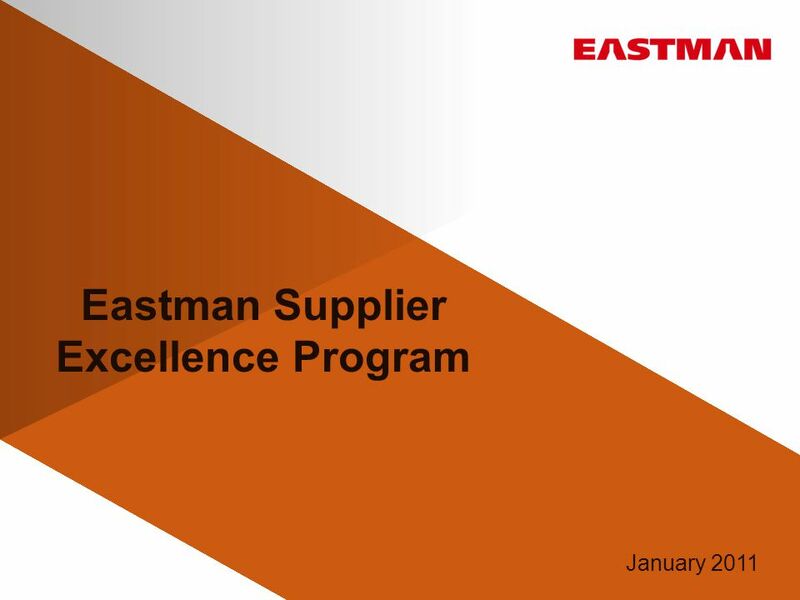 Eastman Supplier Excellence Program January 2011. 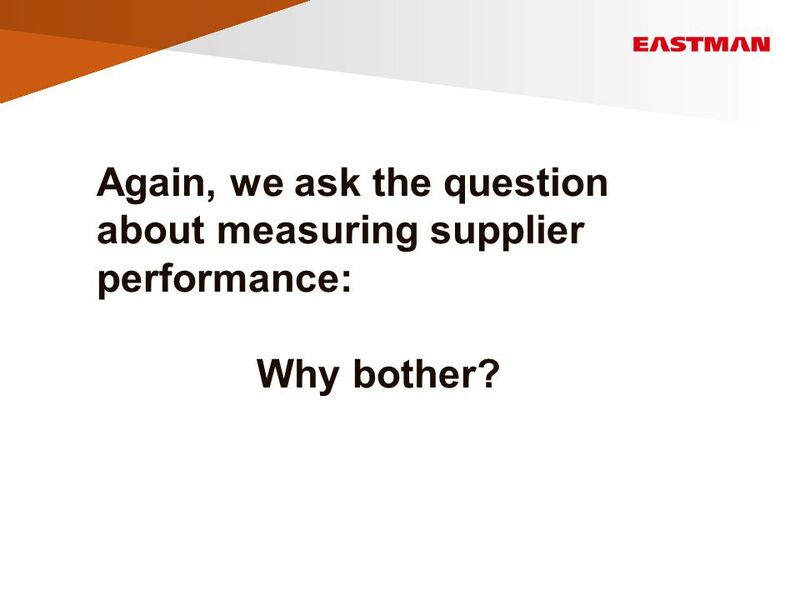 4 Question about measuring supplier performance: Why bother? 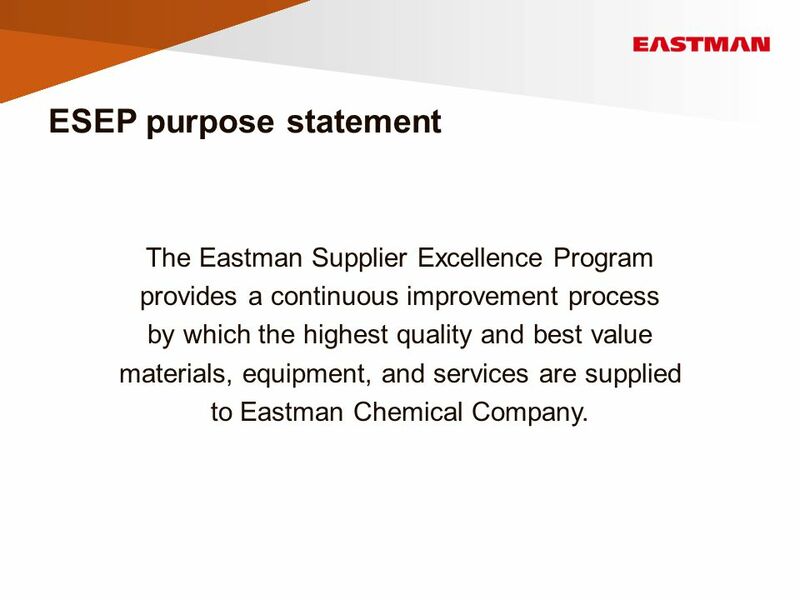 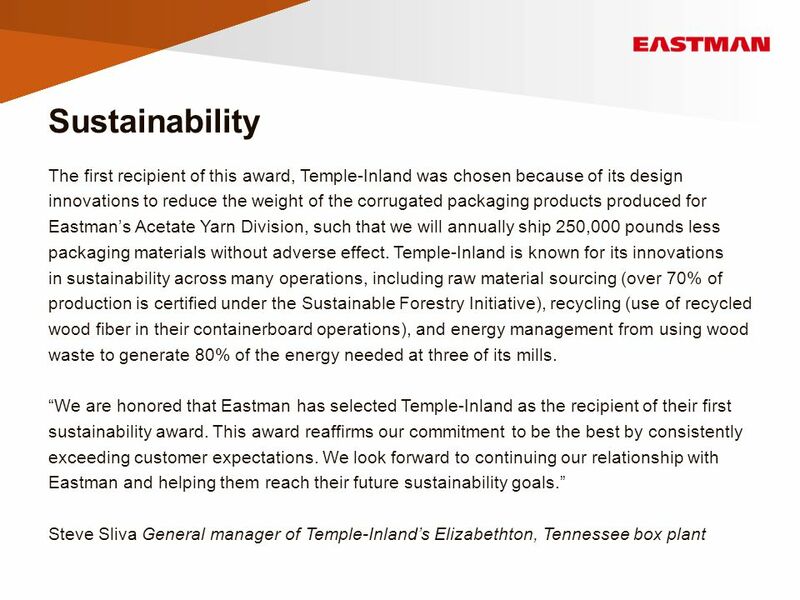 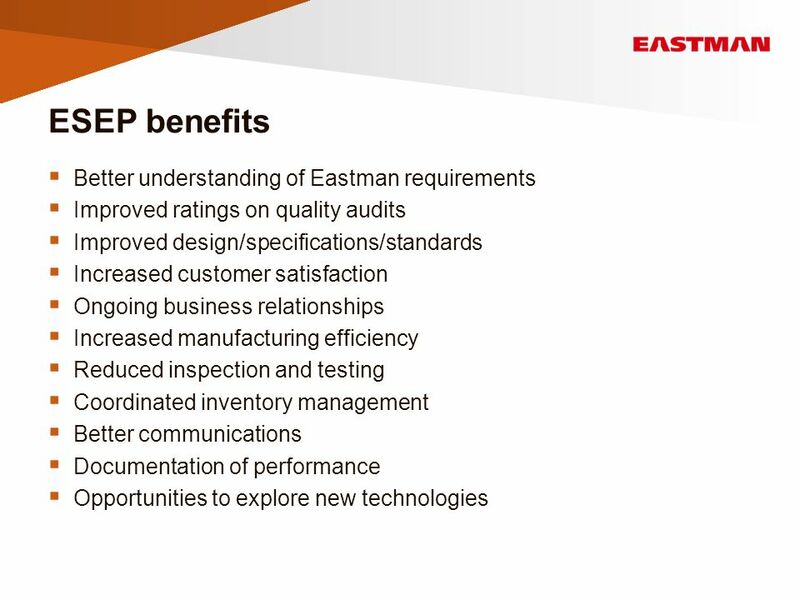 7 ESEP purpose statement The Eastman Supplier Excellence Program provides a continuous improvement process by which the highest quality and best value materials, equipment, and services are supplied to Eastman Chemical Company. 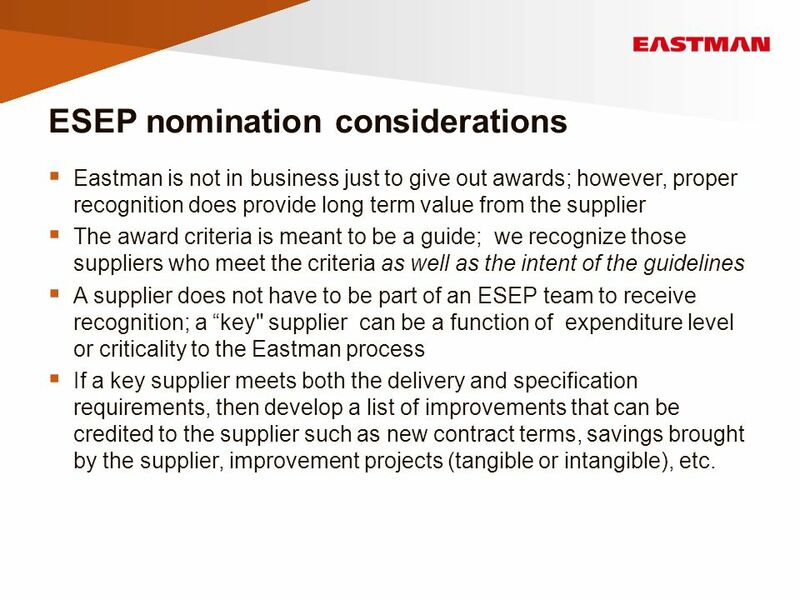 21 ESEP nomination considerations  Eastman is not in business just to give out awards; however, proper recognition does provide long term value from the supplier  The award criteria is meant to be a guide; we recognize those suppliers who meet the criteria as well as the intent of the guidelines  A supplier does not have to be part of an ESEP team to receive recognition; a “key" supplier can be a function of expenditure level or criticality to the Eastman process  If a key supplier meets both the delivery and specification requirements, then develop a list of improvements that can be credited to the supplier such as new contract terms, savings brought by the supplier, improvement projects (tangible or intangible), etc. 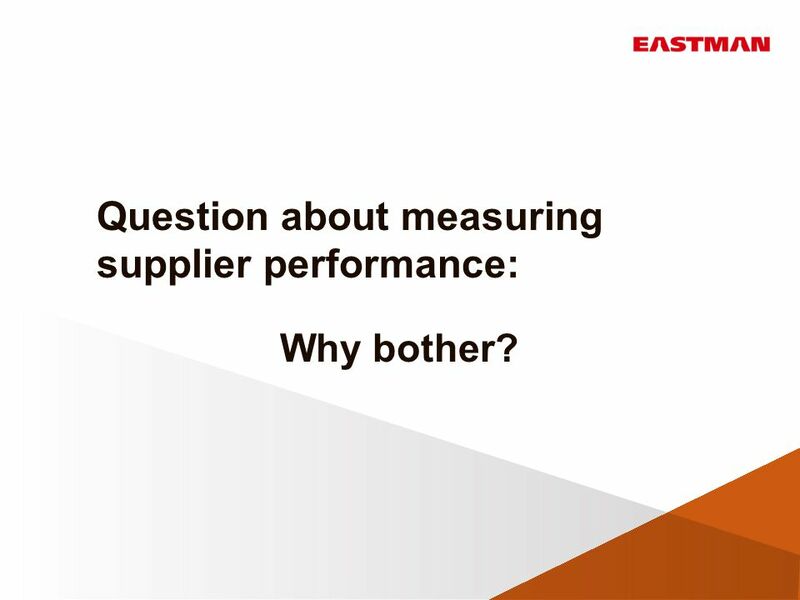 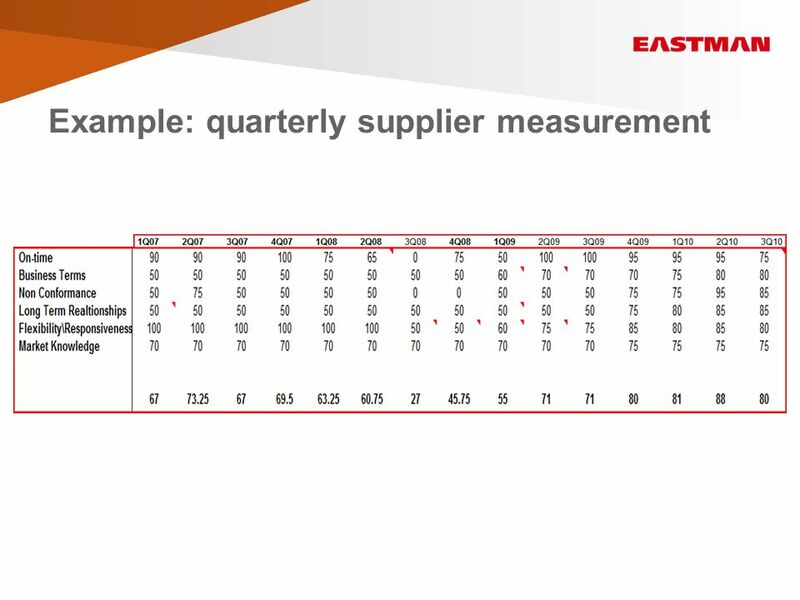 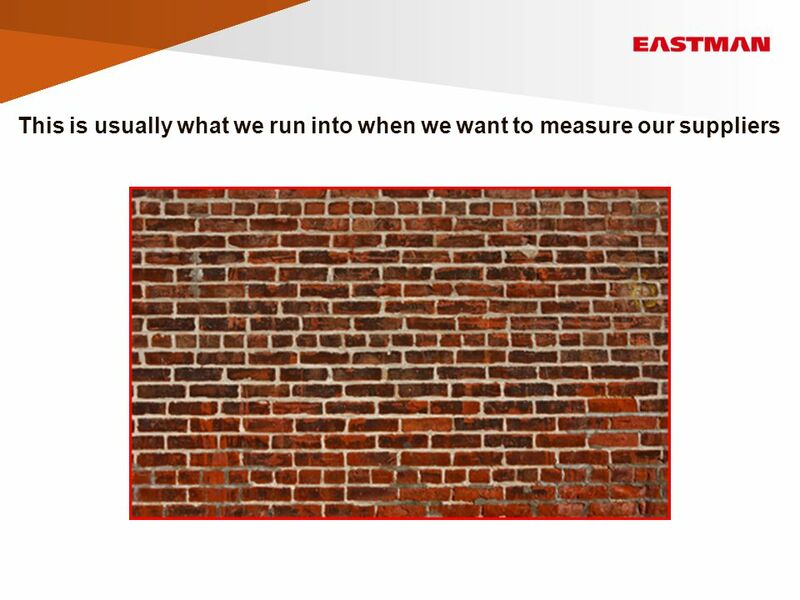 23 Again, we ask the question about measuring supplier performance: Why bother? 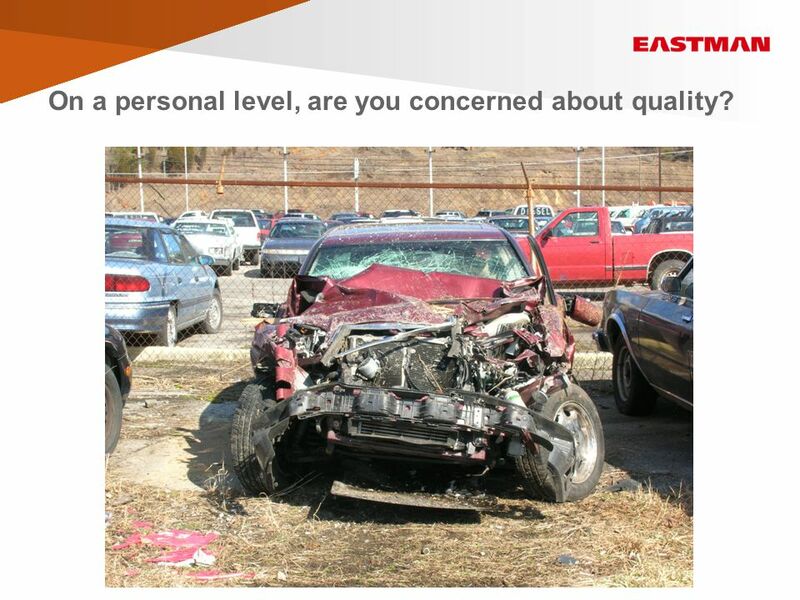 24 On a personal level, are you concerned about quality? 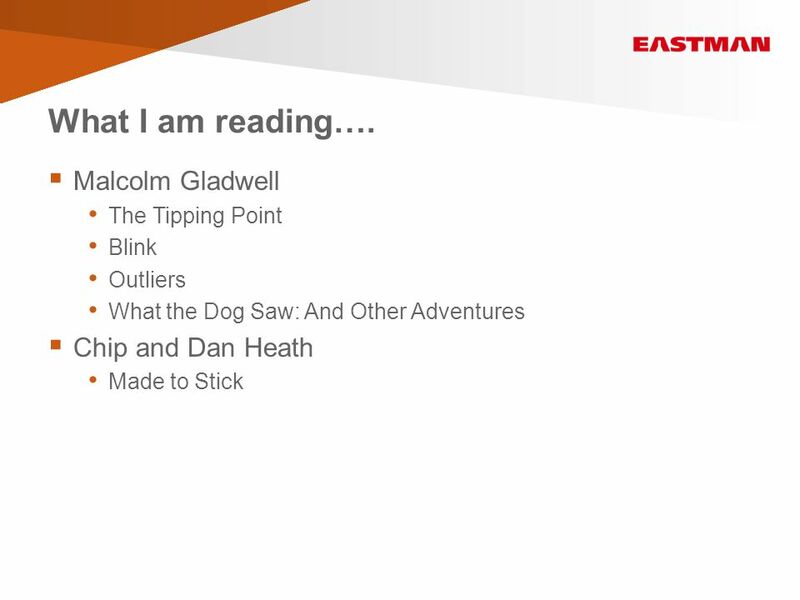 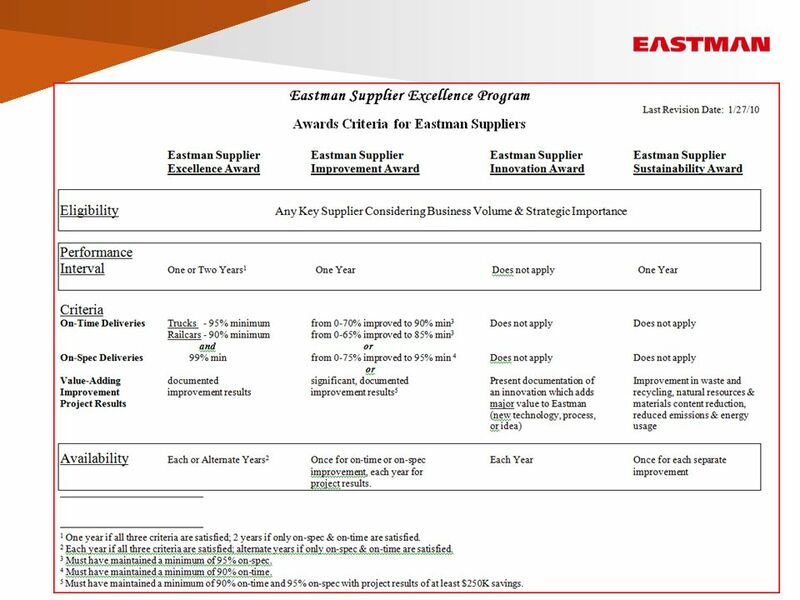 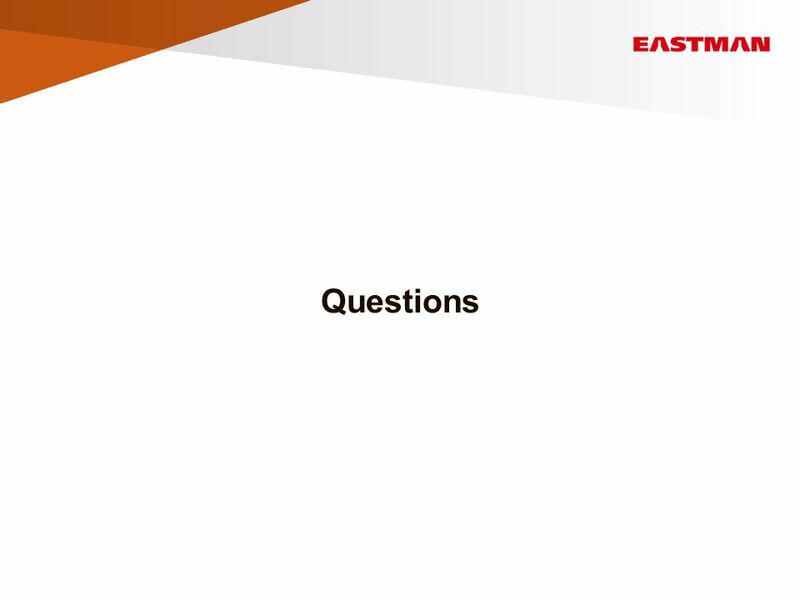 Download ppt "Eastman Supplier Excellence Program January 2011." 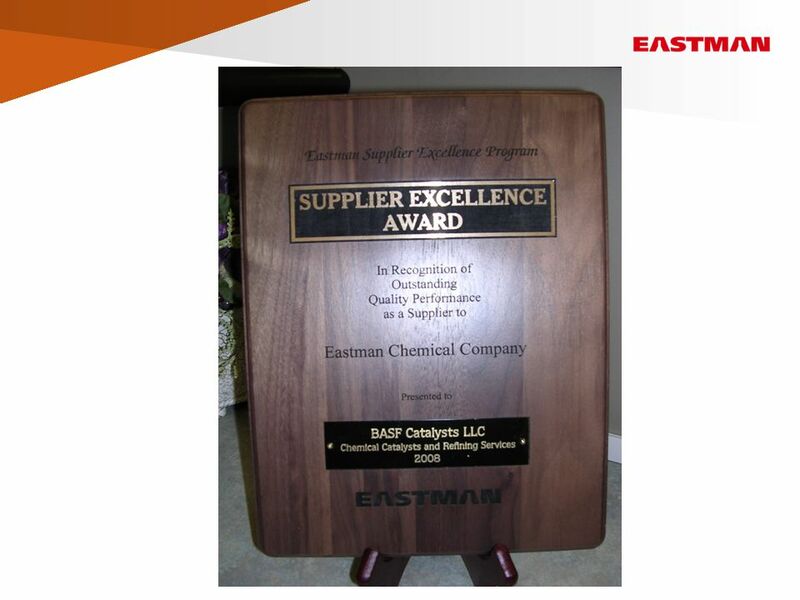 Malcolm Baldrige National Quality Award The Malcolm Baldrige National Quality Award (MBNQA) is presented annually by the president of United States to. 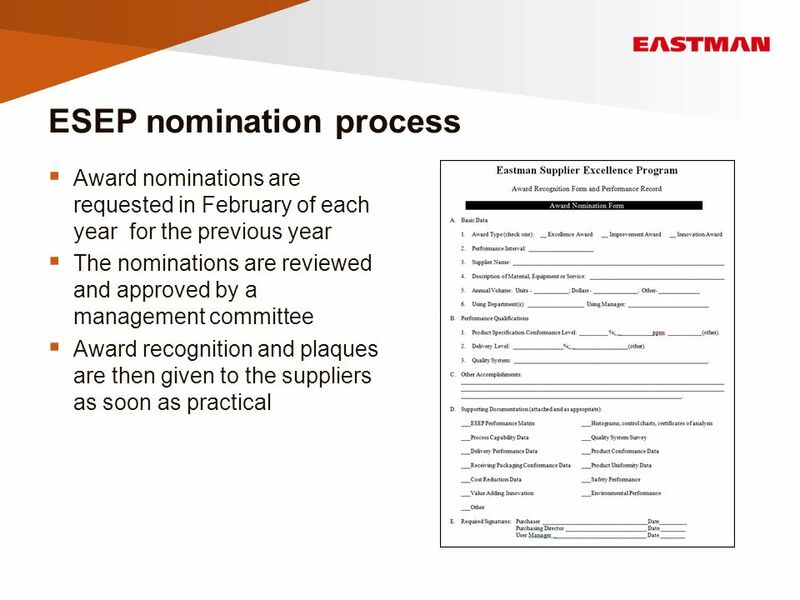 Emirates Transport Suppliers Excellence Award Emirates Transport Purchasing Department 2014. 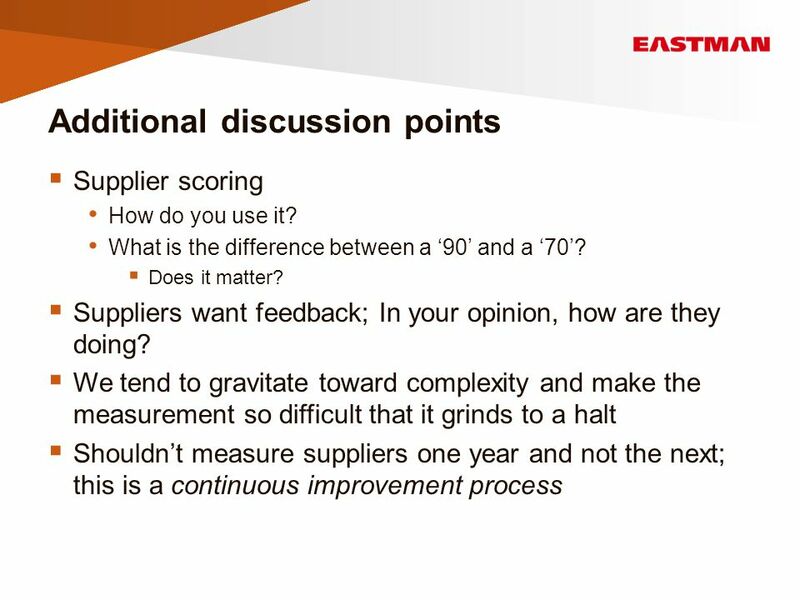 ISO 9001: Countdown to 2015 Presented by Ellen Diggs Ellen Diggs Consulting February 11, 2015 It’s Not Just for Manufacturing Anymore! 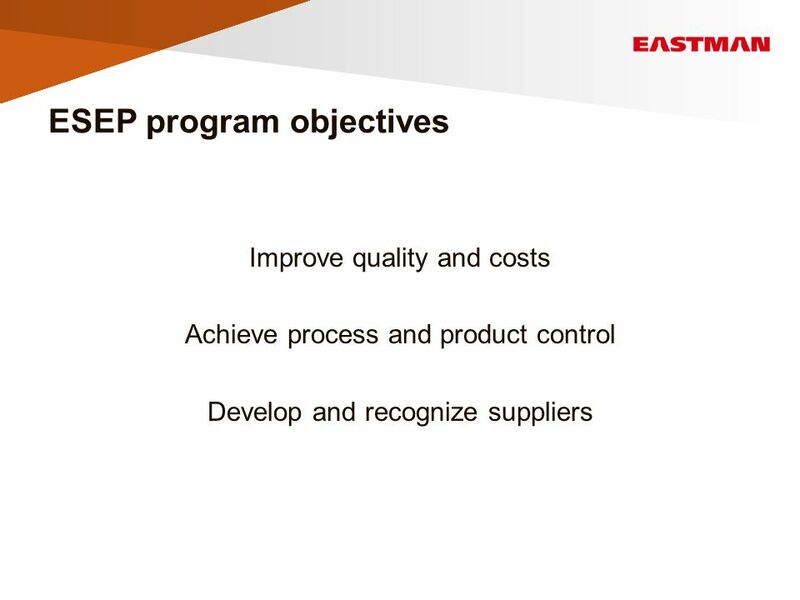 Benefits of an Environmental Management System Andrew Frisbie Wabash National Corporation. 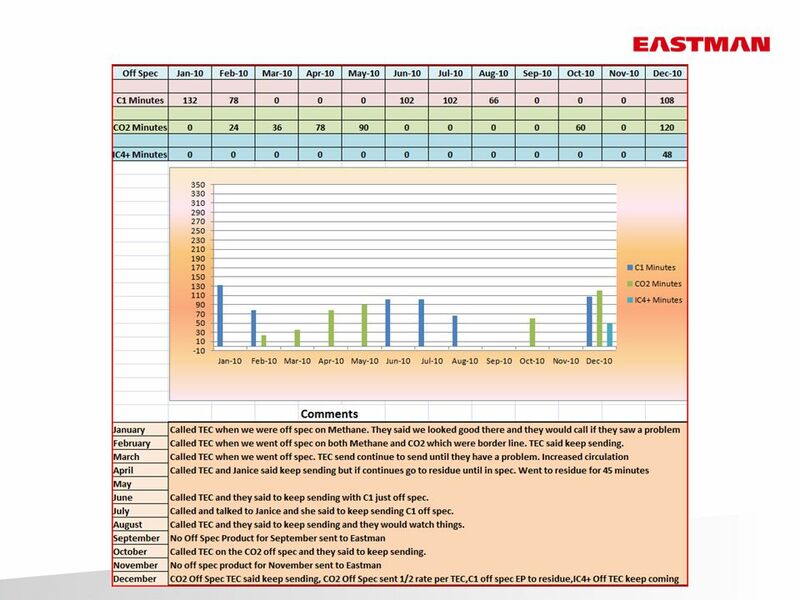 CPIS 357 Software Quality & Testing I.Rehab Bahaaddin Ashary Faculty of Computing and Information Technology Information Systems Department Fall 2010. 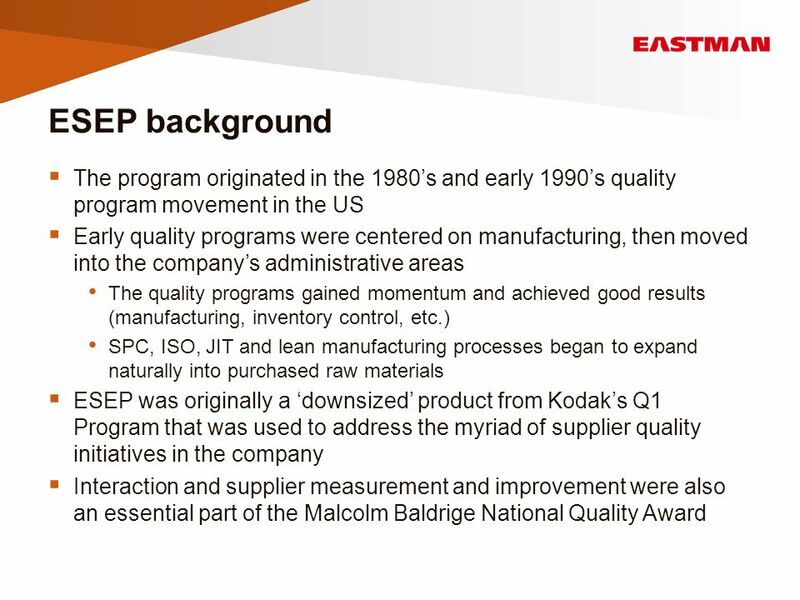 Besterfield: Quality Control, 8 th ed..© 2009 Pearson Education, Upper Saddle River, NJ All rights reserved Supplier Partnership By Engr Mian Khurram. 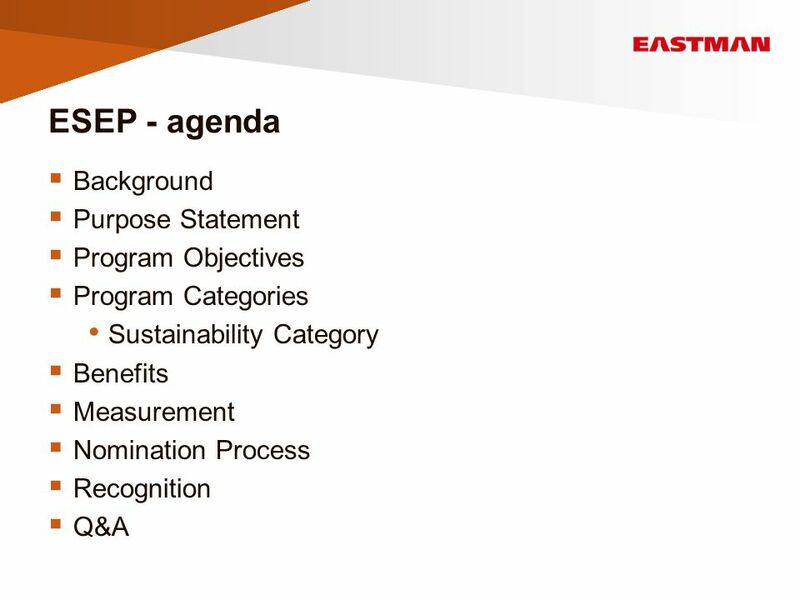 The design and evaluation process that supports sustainable product innovation within the Johnson & Johnson Family of Companies, moving us towards a healthier. 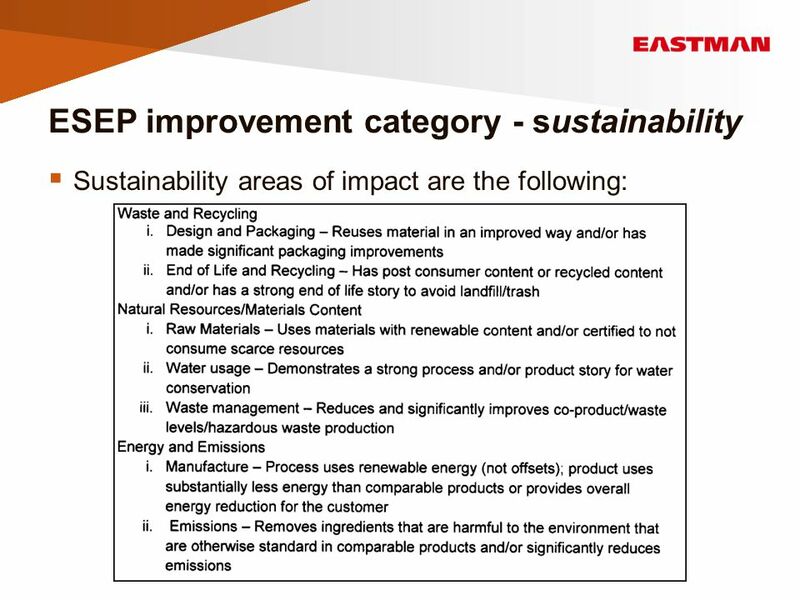 Green Supply Chain Management. 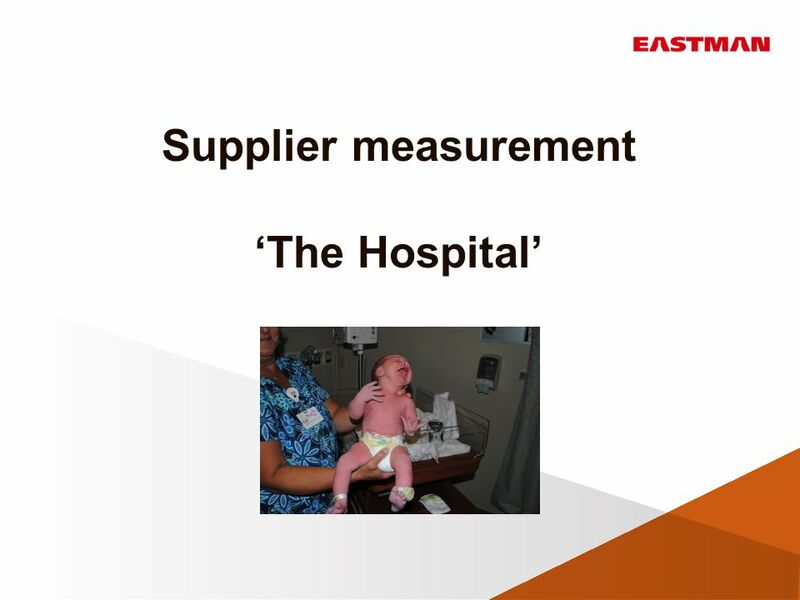 Introduction u Background u Product Life Cycle u Supply Chain Management u Industry Practices u The Future u Conclusions. 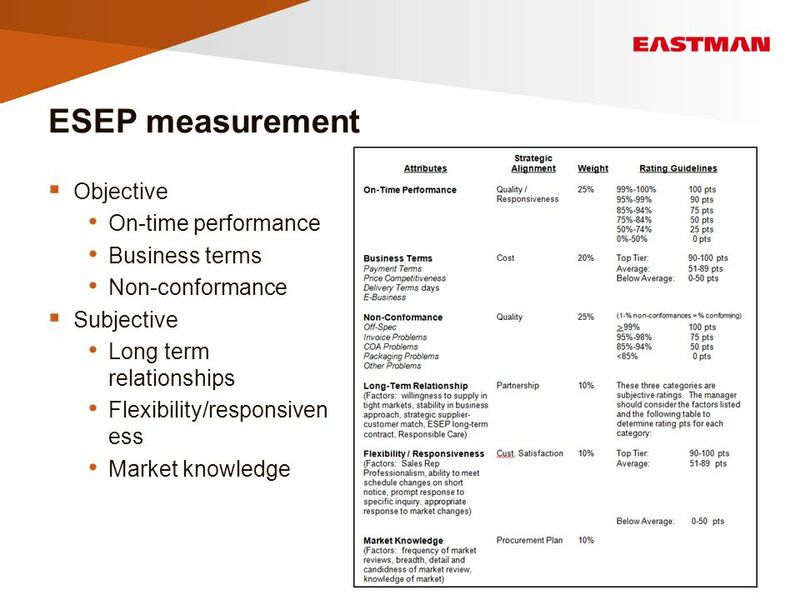 Social and Environmental Purchasing Guidelines Antigua, Guatemala, April 5, 2002 STARBUCKS COFFEE COMPANY MARY WILLIAMS, SVP, COFFEE. 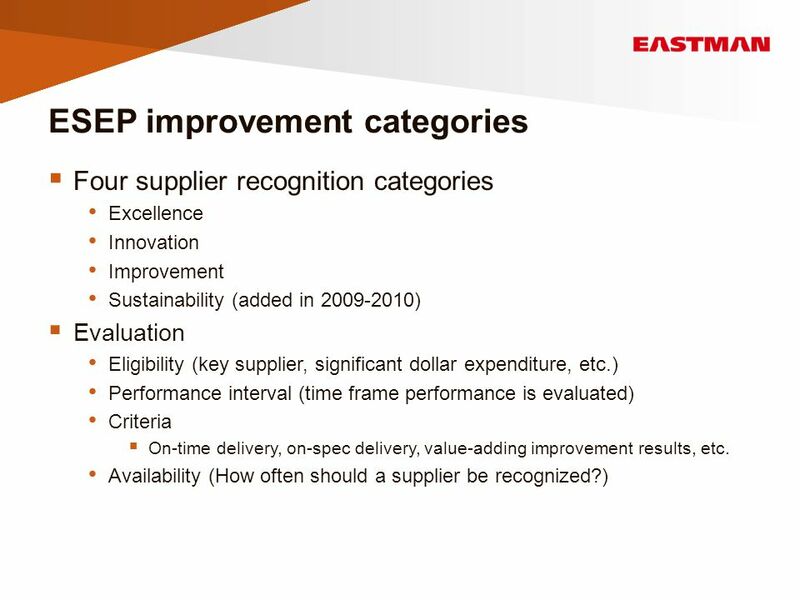 1 PROCUREMENT AUTHORITY AND RESPONSEBILITIES Dr. Fred Mugambi Mwirigi JKUAT. 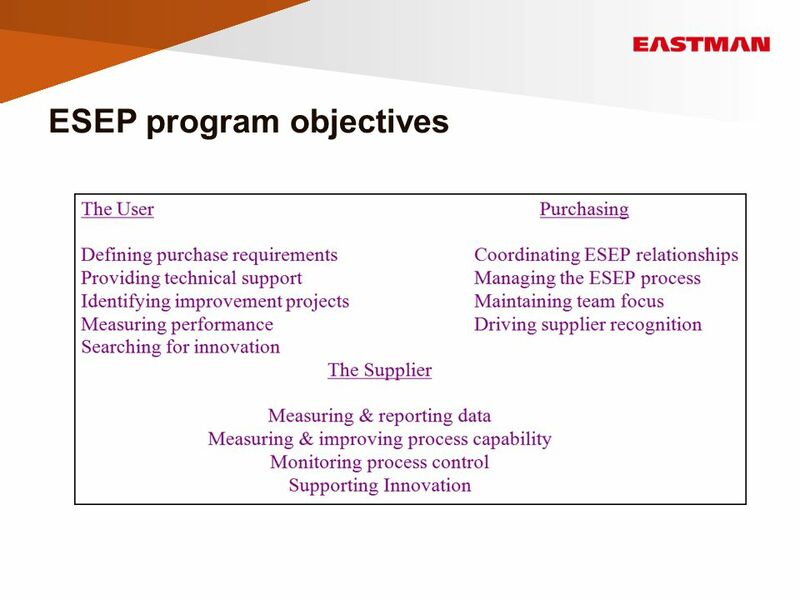 ISO 9000 Implementation Imran Hussain.